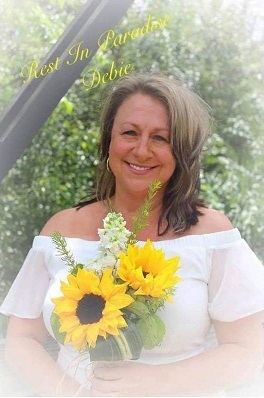 Deborah Sue Hayden Bedford, at the young age of 53, was given her angel wings on February 7, 2019 in Alvin. She was born on November 1, 1965 in Lubbock, Texas to Beecher Moss and Shirley Sisson. Debie was a strong-willed and courageous woman who fought a two-year war with cancer until the very end. She loved the Houston Texans and that love never swayed whether they won or lost. Her favorite player was of course JJ Watt! Debie also loved going to the beach to get her feet in the sand and soak up the sun. She enjoyed weekend getaways to watch Keely play soccer, to the lake house, or to hit the slot machines in Louisiana. Debie was very welcoming and would talk to anyone, so one could imagine how many friends she had made throughout her 53 years. She also enjoyed outings to the rodeo, concerts and other events with Alyssa, and hanging out by the pool with family and friends. Some people go their whole lives not finding their soulmate, but Debie was blessed with two. She married her second soulmate, Steve Bedford, on April 9, 2017 in Alvin. Although they were only married a little while, their love for one another was as strong as a marriage lasting a lifetime. Debie was preceded in death by her first soulmate, Thomas Albert Hayden; father, Beecher Moss; and the one she called “dad”, Robert Harold Fisk. Left to cherish the many wonderful memories are: her loving husband, Steve Bedford; her daughters: Christina Sunley, Keely Hayden and boyfriend Alec Colhoff, and Alyssa Hayden, as well as bonus daughters: Payden Morris and husband Brody, and Paryn DePalma and husband CJ; mother, Shirley Fisk; siblings: Cindy Lang and husband Randy, Danielle Fisk and fiancé Tony Zottarelle, Brenda Spaw and husband Bob, Billy Hayden, Linda Goodridge and husband Richey, and Dale Hayden and wife Patti; grandsons: Koa, Rowdy, Kaden and Sutton; nephew: Blaine Lang; as well as numerous “adopted” children, extended family, and many God given friends. Visitation will be held on Tuesday, February 12, 2019 from 6:00 p.m. until 8:00 p.m. at Oak Park chapel. 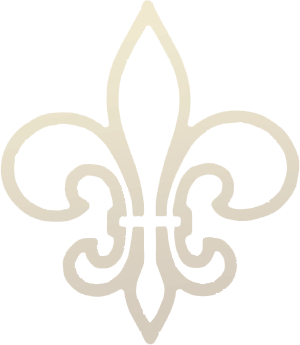 The Funeral Service will be held on Wednesday, February 13, 2019 at 2:00 p.m. at Oak Park Chapel with Pastor Robby Magee officiating. Interment will follow at Oak Park Cemetery.